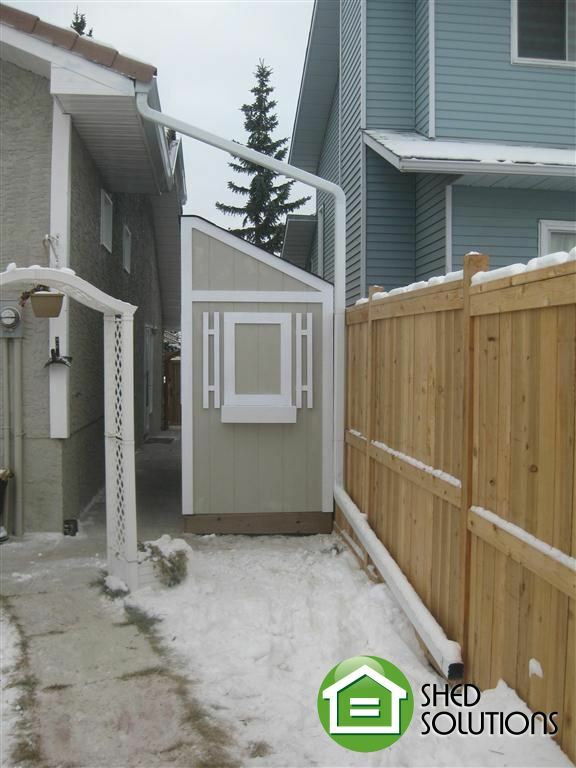 Zaneb came to us asking that we design a shed to fit alongside her Northeast Saddle Ridge home because her back yard lacked the space to place a shed. She asked that it be the the perfect size so that there was still walking space beside the house and didn’t completely block off the space. After careful measuring we decided to go with a 4′ x 12′ Lean To model. This was a perfect fit for the space. Leaving enough movement room but tons of storage for Zaneb’s possessions. To complete her shed Zaneb added a set of 48″ double doors. As well as 4 faux window packages. The unit turned out great! Zaneb went with a taupe color as the body and a crisp white for the trim. 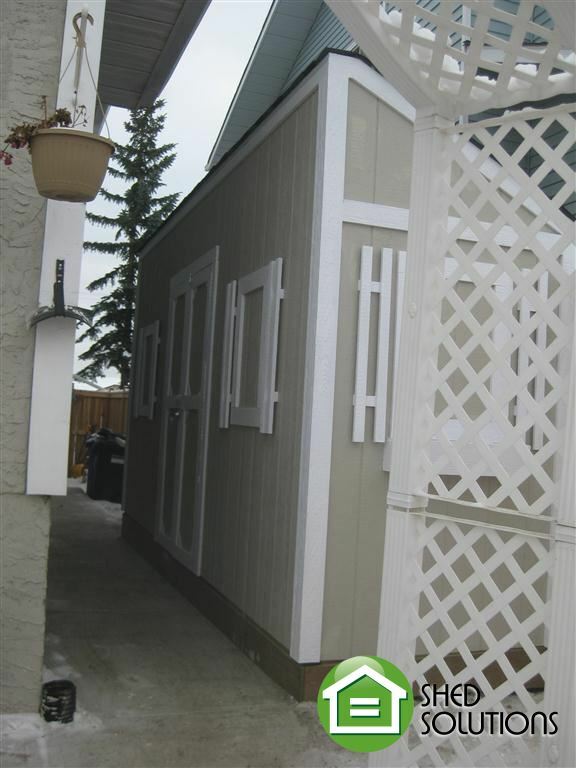 We sided the shed in our Deluxe series siding and added a skirting package to make the whole unit complete. 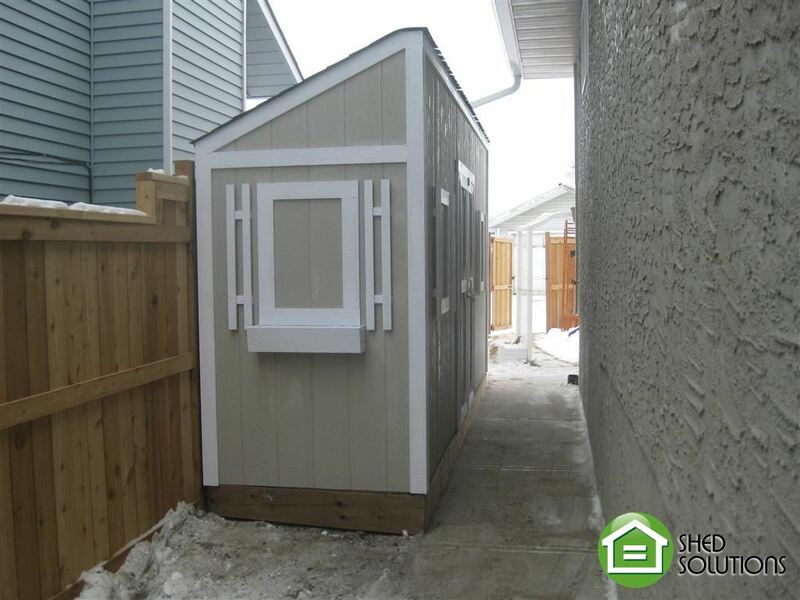 With Zaneb’s new shed she gained lots of storage and still was able to keep her backyard space.